Sergio is wearing navy blue suiting jacket with visible stitching lines and navy blue suit trousers both by Fendi. 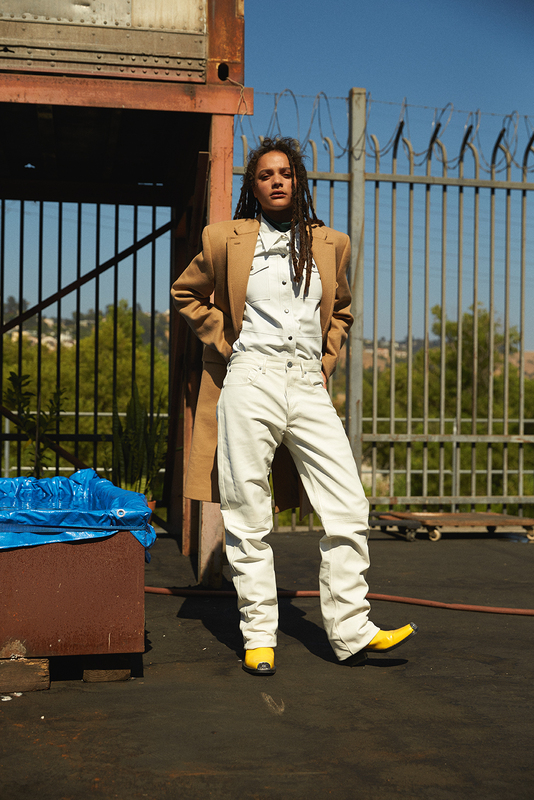 Sasha is wearing double breasted navy suiting jacket with visible stitching lines and decorative stripe around the sleeves and navy harem style suiting trousers all by Fendi. 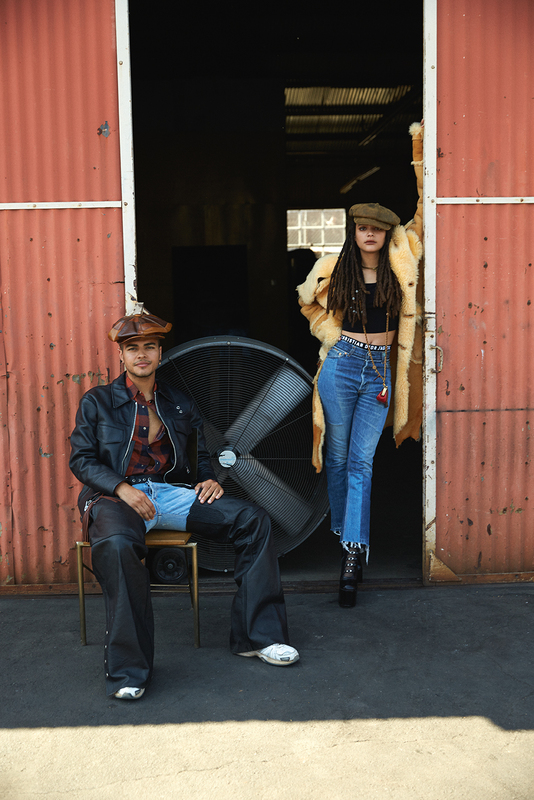 Growing up in an austere Texas family, Sasha Lane spent hours dancing alone when not playing with her brother Sergio (who poses with her in the following pages). 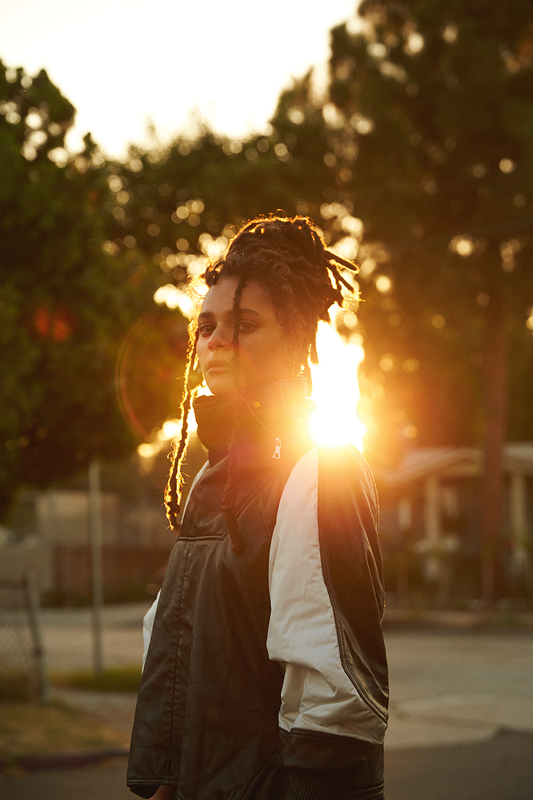 After a difficult childhood, the young woman with a powerful gaze and a magnetic presence revealed a charisma which, during a spring break in Florida, quickly caught the attention of the brilliant English director Andrea Arnold. She chose Lane to play her lead, “Star,” in her film American Honey which won the Jury Prize at Cannes. 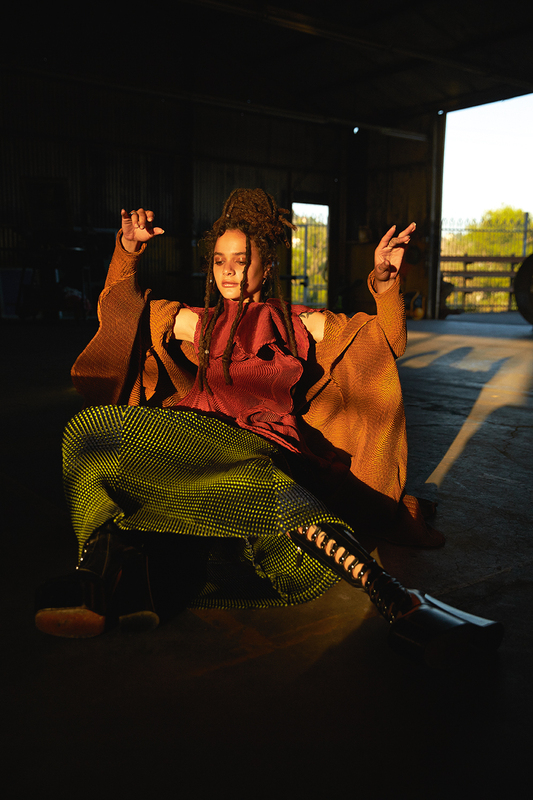 Sasha Lane exudes an animal sensuality that will surely make her the new star of cinema. How did you start working in the cinema industry? My first experience was a wild one. A beautiful journey that was hard as well as healing and very open. I got to use my life experiences and express them. Everyone on set was amazing and truly became like a family to me. You made your film debut in American Honey directed by Andrea Arnold. The movie was acclaimed by the critics and won the Jury Prize at Cannes. You play Star, a young girl who runs away from home and joins a traveling magazine sales crew. How was your first experience? All the locations were through the Midwest, so it all felt like familiar territory. It was an adventure that we got to discover each time we hit another state. I loved it. Sergio is wearing a vintage bathing suit by Versace. Did you feel close to Star, your character? I felt almost too close to Star when filming. But now looking back on it, I realize she is bits and pieces of me, past and future and present. 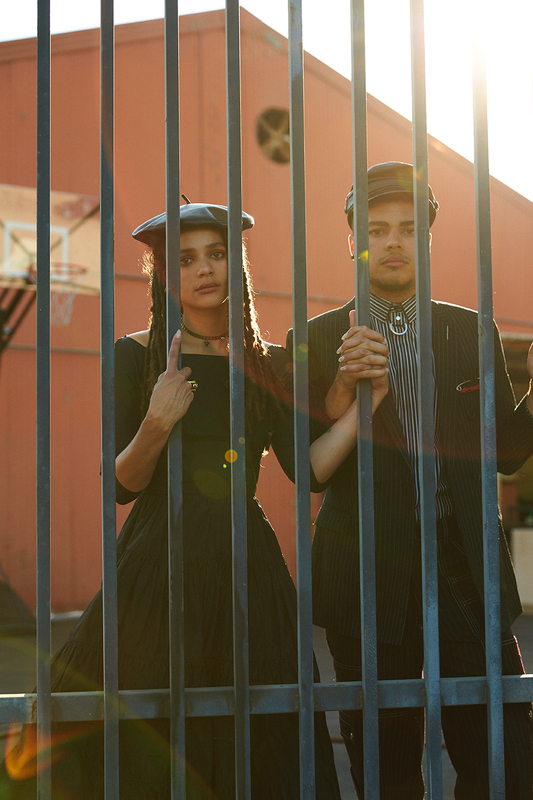 You also played in The Miseducation of Cameron Post directed by Desiree Akhavan. It tells the story of a young girl discovering her homosexuality before being forced into a gay conversion therapy center. Can you tell us more about your role? I play Jane Fonda. She’s kind of an outsider but also more familiar and oddly comfortable with her restraints. She meets Cameron at the conversion camp and shows her around, building a much needed friendship. You are openly bisexual. Is defending LGBT rights important to you? I would describe my generation as more open and free than previous generations. I have a lot of hope for us because I see a lot of positivity through the bad. A lot of progress towards acceptance and health and free expression of self. We falter in a lot of areas but I can tell everyone is trying to open up and make changes in the world. Do you believe cinema can help change mentalities and develop social rights? I believe the right kind of cinema can bring change. It can normalize concepts most aren’t open to, like relationships between the LGTBQ community. It can bring awareness and understanding to mental health and social issues. There’s a lot of beauty and good that can come from movies. People are soaking in more than they know. You’ve also been chosen to play in Hearts Beat Loud a musical film directed by Brett Haley. Is music a passion? I love music. I wish to be surrounded by it all the time. I think it’s a perfect way to express oneself, and it can bring about any mood or vibe. It feeds me. Got a couple lined up… You shall see. It seems like you enjoy experimenting with fashion. Is dressing a way to express yourself? I think dressing is a way to express myself. I dress differently depending on my mood or the type of feel I want to have and energy I want to give off. Dressing how you want can make a big difference to how you feel. It’s all unique just like everyone is. What is your relation with your brother, who is also in the story with you? My brother is the closest person to me. I would give my life for him, protect him at all costs, and I wish him a beautiful adventure for his present and future. We are a lot alike and also very different at the same time. He’s my homie, and the closer we’ve gotten the more understanding I am of just how important family truly is. Sasha is wearing a black dress by Louis Vuitton with black velvet pants and black leather overall chaps with black platform boots all vintage. Sergio is wearing a red check shirt with black leather jacket both by Coach, blue denim jeans by Agolde x A$AP Ferg Jeans with black leather vintage chaps over, vintage leather hat and New Balance sneakers stylist own.